Tornadoes can be dangerous and destructive, yet their awesome power is also visually spectacular. 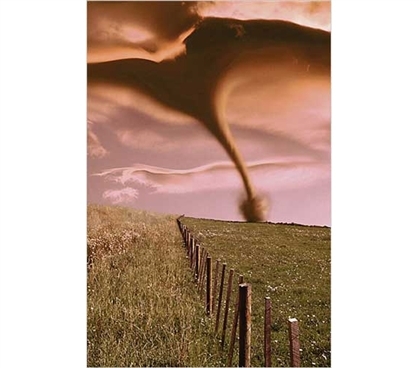 This Tornado On Field Poster is a dorm room supply that will enhance your dorm decor. Hopefully you won't see the same thing out your window, but it makes for a different and captivating college decoration. Bring some unique posters for college to your dorm wall decor. and let your dorm room become a living space that truly feels like your room.